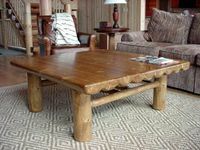 The animal mantels, carvings and furniture are all done off site, but from local suppliers -- all completely Made in the USA. 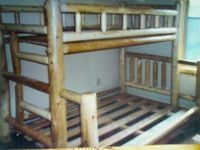 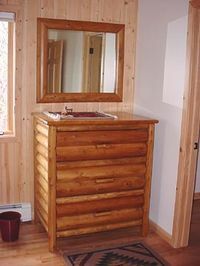 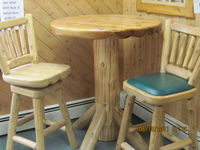 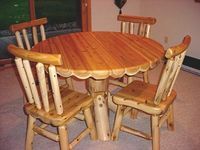 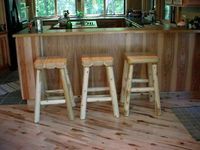 These very sturdy and functional furniture offerings accent a log home beautifully, but can complement the decor in any home. 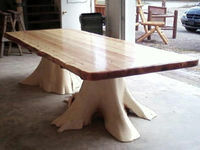 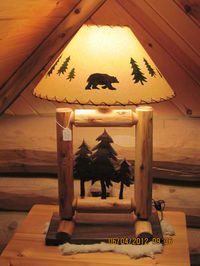 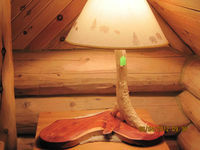 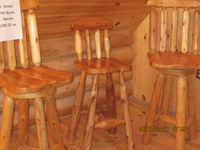 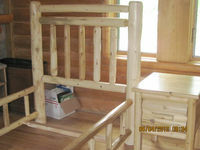 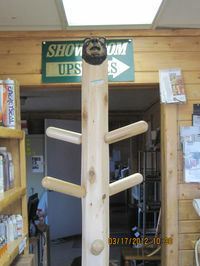 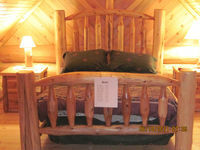 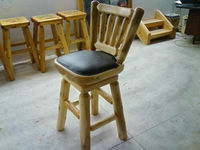 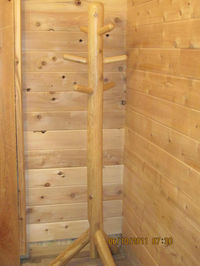 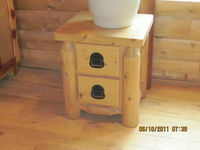 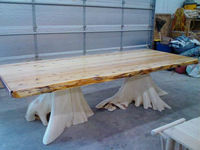 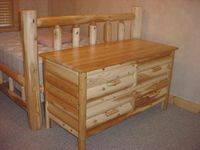 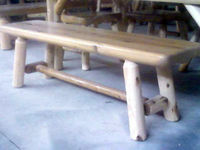 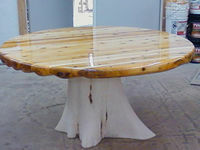 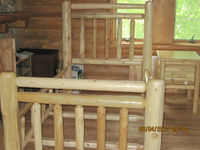 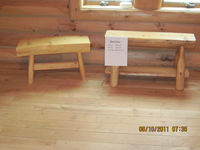 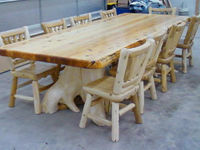 All furniture is made from Northern White Cedar, handmade, assembled and made in Michigan. 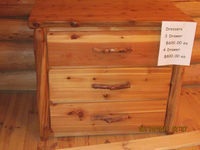 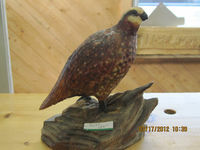 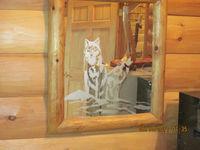 Many of the items in the photos and listed below are in our showroom. 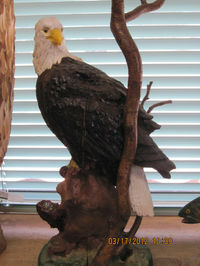 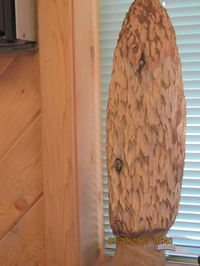 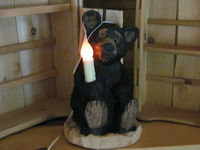 Hall trees are hand-crafted by design and can feature almost any animal. 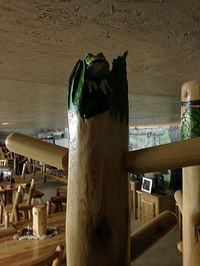 These wood carvings are all made from Northern White Cedar which has been kiln dried by Cedar Log Lumber of Millersburg to slow down the checking process (cracks that develop when the wood dries). 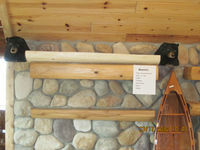 This mantel is custom made. 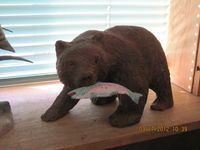 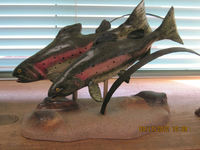 The carved rocks under the fish are attached to the mantel. 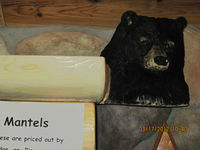 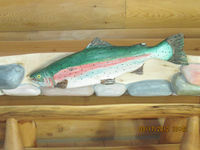 Different species of carved fish can be inserted into the carved rock bed.